The real classic! Ettan White delivers a clear tobacco flavor with earthy, malty notes and hints of dark chocolate. 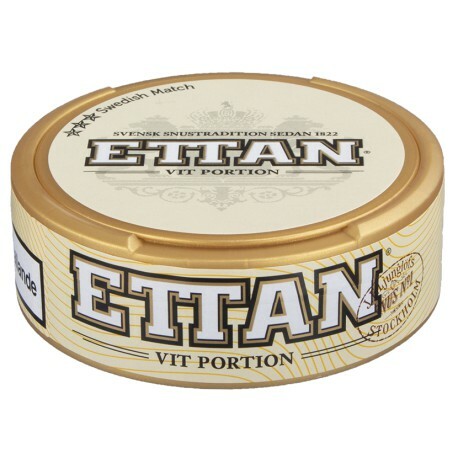 The classic Ettan snus in white, long lasting and less runny portions. This snus is a classic and smooth. A bit weak and sweet tasting for my preference, and I will not revisit it soon. But, I would recommend a try! All the goodness of Ettan in white-mode. Gotta love this snus. Highly recommended. of all snus'; coco, mocha and possibly some dark liquor make it great. Highly recommend this snus for beginners and as a snus that you can take whenever you wish.